We are delighted to welcome back the sensational Olivia Parr to The Sunday Club after her fantastic performance earlier in July. 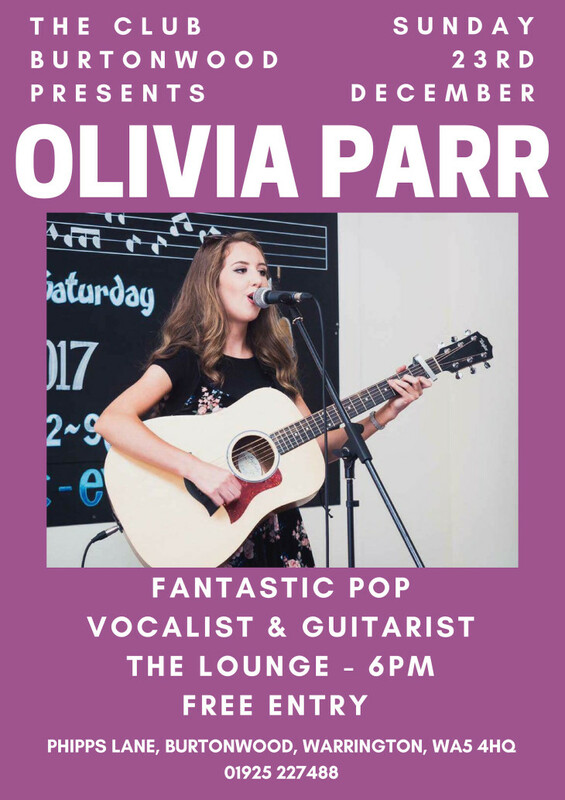 Olivia will be performing a mixture of hits old and new from the the likes of Amy Winehouse, Cilla Black, Dolly Parton, Don McLean, Johnny Cash, The Stereophonics and many more!! !